Want to write for Dharmony Herbs!? We are receiving article submissions on numerous topics including ayurveda, traditional medicine, herbs, wellness, nutrition, medical research papers, yoga, meditation, general health, green living, and healthy lifestyles. Writing for DharmonyHerbs.com gives you the ability to share your expertise and insights to our responsive, international community. 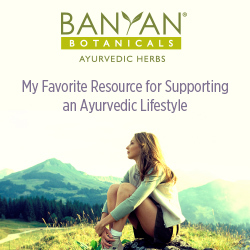 We are one of the foremost online resources promoting ayurvedic wisdom to a western audience. Articles will be featured on the “Health Tips from Our Experts” section of our website, sent out via our newsletter and links will be posted to all our social media accounts. To increase your reader-base and expand your exposure, please make sure you share and tweet your articles when we post them! All writers will receive full credit at the top & bottom of their article and a link to their website(s), as well as Facebook and Twitter pages. For mutual benefit our writers are highly encouraged to distribute their articles through their own websites, blogs, newsletters and social media sites such as Facebook, Twitter, LinkedIn and Pinterest, as well as through email. If your articles receive many views you are likely to become one of our top contributors, thereby gaining the trust and loyalty of our fans, followers & customers. We publish both original content (submissions that have not been published elsewhere on the web) & reused content (articles already published online). We prefer content in the range of 300-900 words, as they are generally more well received by our audience. Note: We do not post content that promotes services or products and do not include affiliate or promotional links within the article. If you use links within your article, please links to other resources on our own site, before linking to an external website, unless it is your own. Please submit the articles as Microsoft Word Documents. Please note that we occasionally revise the titles of articles to make sure it gets the most attention and visitor possible. Our editors may also edit your text for grammar, punctuation & format. Are You Ready to Submit an Article? If this is your 1st submission, please include a short bio, a photo of yourself, a link to your blog or website, and links to your social media accounts (i.e Facebook profile/page, Twitter Profile, etc.) if you have any. We look forward to sharing your wisdom with our community!